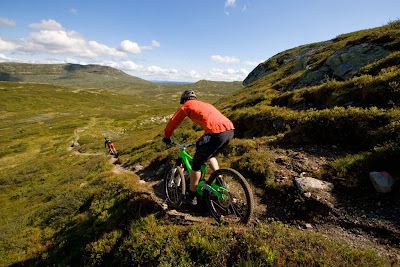 Had an awesome weekend of singletrack mountainbiking at Terrengsykkel (NO) mag's event Utflukt 2009 in Kongsberg. For four days there was good, dry weather, good times and happy people. The terrain... pretty close to perfect. Well, words are not really necessary, just watch the movie clip.